According to yearly evaluation from the government regulated research group and other worth mentioning survey projects, health expenditure has increased by five percentage point lately. The figures are yet to be validated but apparently health-care expenditure during 2014 would represent the biggest rise since the last formal recession of 2008. The Affordable Care Act, debated in 2010, highlighted some measures to reduce health-care costs, constituting penalties for health-care givers whose patients are retreated after spending a month in a hospital. The rise in medical care expenditure for 2014 was totally a surprise. Americans in tens of millions have been able to avail health insurance via Affordable Care Act, state funded Medicaid programs, and employment opportunities created by medical institutions. According to economists all of them combined are driving the rise in people being covered by medical care coverage and in turn increasing the spending. The US centre for disease control has anticipated that the rise in spending would somewhat stop in the on-going year, with the aggregate health care expenditure growth of approximately 6 %. Confirmed statistics for last year reconciles with everything regulators, institutions, and professionals have been saying so there remain to doubt to their analysis. Number of people who availed the recent Obama Care package primarily focused on public servants and other insurance coverage available are said to be the reason for the rise. Drug prices have also been on the rise forcing the people to spend more. Despite the fact that medication constitutes about only 10% of the all states health care bill, expensive new treatments of diseases like hepatitis C and cancer have found a place in the market. A wave of revolutionizing drugs lost patent rights in recent time helping to ease drug costs but phenomenon is not likely to continue in the future. The question arising now is whether a rise in spending is stimulated by rise in drugs only or there are other factors at play. From the healthcare professionals’ standpoint, not only drugs but other factors involved like doctors, hospitals, nursing homes all would play a role in minimizing the spending and easing the burden on end users. In totality, spending is a mixture of how expensive any test and treatment is and cost incurred by institutions in delivering it. Despite the volume of medical care service being delivered is going up as more people are availing health insurance, there are indications that providers are dealing with intense pressure to maintain the prices they charge in control. A rough estimate of price being charged by service provider and regulatory body included in the Consumer Price Index report indicates that hospital rates on the whole reduced when compared with earlier years. 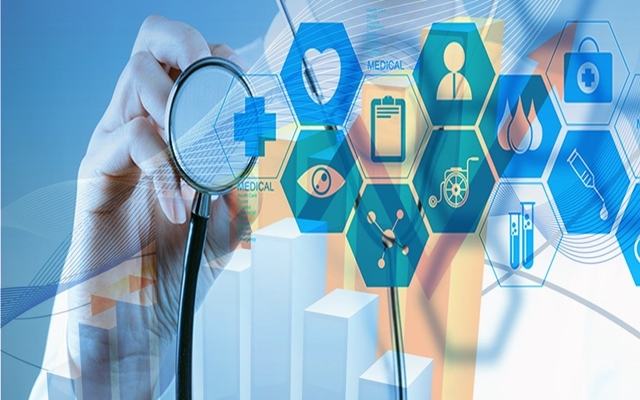 Several companies who provide healthcare software solutions have been trying to mitigate the complexities by developing healthcare applications that streamlines the processes involved in healthcare. To analyse the impact of how medical care cost growth is having an effect on the pocket of a standard US family, researchers gathered data from all the available avenues to project the effects of increasing health care costs on an average-income family of four covered by coverage provided by the company. The data made a contrast of the household health care cost share in 1999 with that in recent times. Many thought provoking findings came out of research. Even though household income was on a rise, the trickle down benefits that they should have accrued were largely offset by growth in health care thus retaining only $95 on monthly basis. If costs traced by the rise in the CPI index had remained stable, an average US family would have had an extra $450 per month that they could have utilized on other things. If you are interested to develop healthcare mobile app and would like to enlist the services of an expert healthcare software services provider then you can avail the services provided by Mindfire Solutions. If you would send in your requirements to sales at Mindfire Solutions dot com, we would be happy to assist you building the app on a desired technology. This Post was posted in Software and tagged Develop Electronic Health Records, healthcare mobile app companies, healthcare software maintenance, healthcare software solutions, hire healthcare software developers, Medical Software development. Bookmark the permalink.